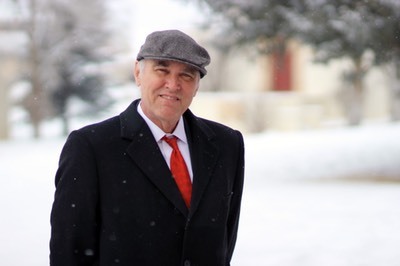 On November 25, 2005, Sir David Tweedie of the International Accounting Standards Board signed a memorandum with the Ministry of Finance declaring that CAS had substantially converged with IFRS. The agreement was premature in my view since several significant differences remained, but the political pressure on Tweedie to bring China into the IFRS fold was immense. In 2006, China launch a successful initiative to amend IFRS related party disclosure rules to exclude companies under state ownership, effectively converging IFRS with CAS on this point. In 2009, China announced it would fully converge CAS with IFRS by 2011 in accordance with a G20 agreement related to the financial crisis. It didn’t happen. But the Tweedie agreement was sufficient for China to get Hong Kong to accept CAS financial statements for Chinese companies listed in Hong Kong. I often use Venn diagrams to illustrate GAAP differences. IFRS can be viewed as a circle. Everything inside the circle is acceptable under IFRS, and therefore GAAP. Everything outside the circle is unacceptable, or non-GAAP. CAS can be considered a slightly smaller circle that is mostly inside of the IFRS circle. Almost everything under CAS is permissible under IFRS, but CAS does not permit the full range of options available under IFRS. But most everything in CAS is acceptable under IFRS. I would estimate 95% of accounting is the same under any accounting standard. CAS is a bit closer to US GAAP since it prescribes more rules while IFRS is principles based. 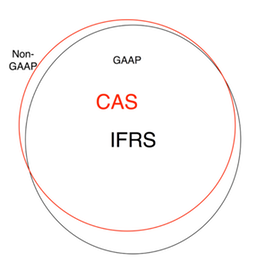 Accordingly, the CAS circle is smaller than the IFRS circle, but mostly fits within it. Full convergence would require China to eliminate the small parts of CAS that are outside the bounds of IFRS. 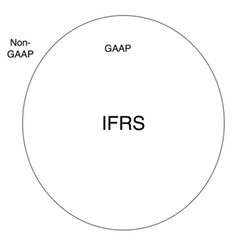 US GAAP is similar to CAS in that it is a smaller circle than IFRS but more of the US GAAP circle is outside of IFRS (probably the most significant item is LIFO inventory). Standard setters have been trying to conform US GAAP with IFRS mostly by attempting to write common standards, a process which seems doomed. I think the US would do better conforming to IFRS by following China’s lead. This would mean changing the parts of US GAAP that are not permitted under IFRS but retaining the more restrictive, rules based nature of US GAAP. �That is, focus on getting rid of the parts of the circle outside of IFRS and quit trying to have the same rules for US GAAP and IFRS.